← Stepping Out of the Zone – My Toastmasters Ice Breaker Speech! Hello Readers! 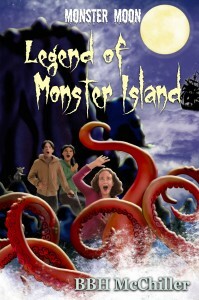 I’m excited to announce Legend of Monster Island, Book 3 in the Monster Moon Mystery series (for ages 8 to 12), by BBH McChiller (Kathryn Sant and Lynn Kelley). All three books are great for Halloween. 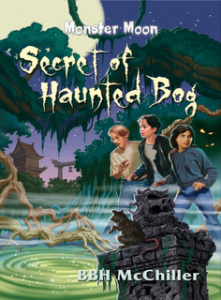 Do you like spooky, fun children’s books? 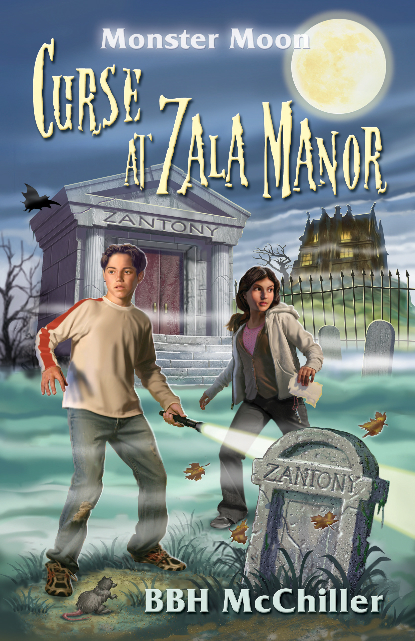 This entry was posted in Books, Kids, YouTube Video and tagged ages 8 to 12, BBH McChiller, Curse at Zala Manor, Halloween read, Halloween story, humorous books, illustrator Mikey Brooks, Kathryn Sant, kid lit, Legend of Monster Island, Lynn Kelley, middle grade books, Monster Moon Mystery series, Secret of Haunted Bog, spooky books. Bookmark the permalink. 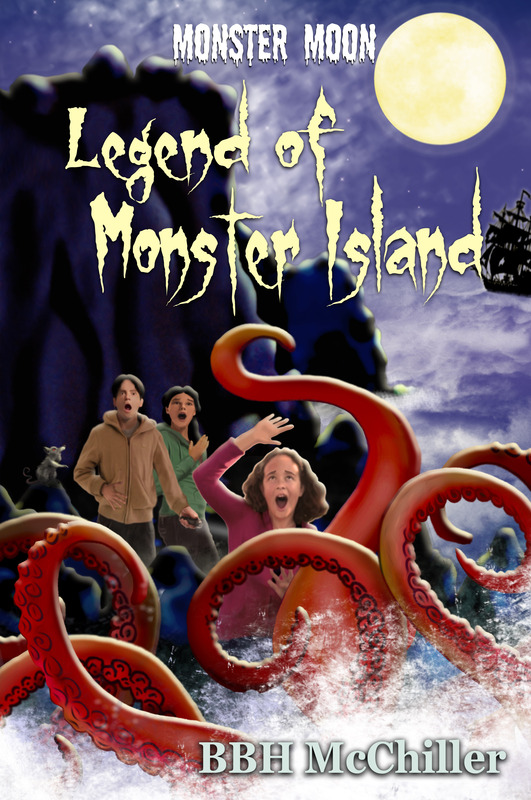 17 Responses to Legend of Monster Island – Book 3 is Here! LOVE! Must buy. Wahoo!! Off I go. CONGRADS! YEEHAW!!!!!!!!!!!! Who doesn’t love new books? And Lynn, your book trailer was really cute. Hi Patricia! Thanks for mentioning the book trailer, too. I kept having to whittle it down to get it as short as possible. I’m happy with the final version. I think Matthew will love these. Congrats, Lynn and great trailer! Yay! Lynn and Kathy, well done on your new book. Must check it out. This is so exciting. You’ve worked so hard! Awesome job on the book trailer too. Wow, I’m in awe of how good it looks! Well done, me harties! So very thrilled for you, Lynn! That’s quite an achievement with all that you do. Congratulations and may Monster Moon live on!! Thanks so much, Teresa! It’s such a great feeling to have this book out and in the hands of readers! Yes, may Monster Moon live on! I love that! Yarr! Thank you, Alex. I’m glad you enjoyed the trailer. Yes, I wrote most of it, and coauthor wrote the last ditty. This book is packed with these fun ditties sung by Vlad, the pirate rat. Kids love them! That’s wonderful, Lynn – congrats! Thank you, Lindsay! I’m running behind on everything this week. Will catch up with you this weekend! Congrats on the book release! It looks really fun – and great cover! Thanks so much, Jennette. It’s a fun read for kids, and I love the cover. Mikey Brooks is such a talented illustrator. Talented children’s writer, too! I’ll catch up with you tomorrow. Crazy week!